Local bus operator First is currently seeking regular bus users to join its new-look customer panel in Plymouth. The panel is composed of local bus users and organisations with a vested interest in public transport or who represent a group of bus users. First is currently undergoing a major transformation within its customer service offering. Customer panels throughout its operational areas are be at the heart of Firsts activities with their objectives being to enhance and improve its present services such as those across the south Devon and east Cornwall network. 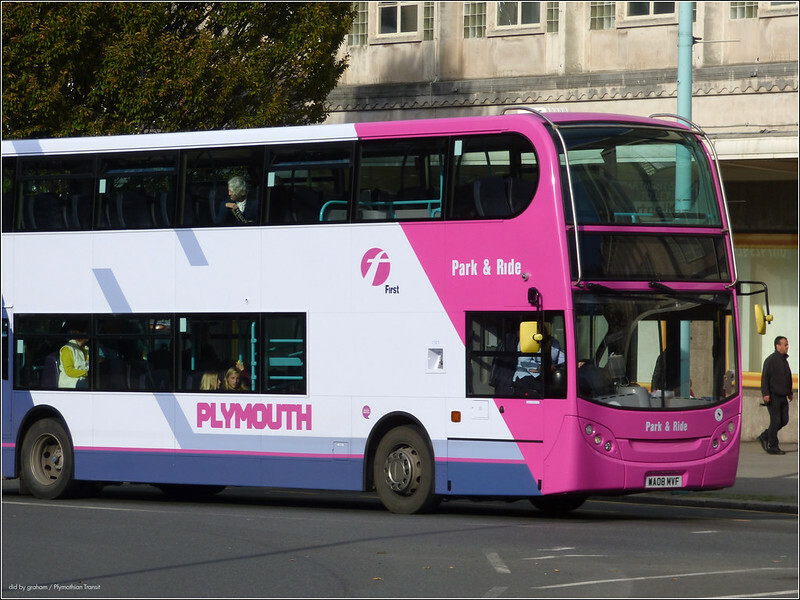 To this end, First is restructuring its Plymouth customer panel which will be formed of between 10 and 15 bus users representing a broad spectrum of community interests. The customer panel will meet on a quarterly basis to discuss any outstanding issues they may have encountered when using First buses. Also attending the meetings is a representative of the independent body, Bus Users UK. Commenting on the new panel, Natacha Tagholm, Firsts Regional Customer Services Manager - South West & Wales, said: "This Plymouth panel forms a direct link between customers and First. The main aim of the panel is to provide a forum for constructive discussion which can lead to change and input into strategic issues. Any groups or individuals who would like to be involved with Firsts Plymouth customer panel should write in the first instance for an application form to buscustomerpanel@firstgroup.com. Plymouth Citybus is holding a fancy dress day for drivers on Thursday, December 18, when buses will be driven by a host of characters, from elves and Christmas puddings to cowboys and Scooby Doo. The day raises cash for local children’s charities, and The Herald is asking readers to send in your snaps of festive-looking drivers. Focus Transport: Will Scotland's railways improve by going Dutch? I am on the custerm panel ,and I am please to say that first have 2 new route,s starting in the new year ,but not aloud to say where to .and having more 1.00 single fare,s on there routes .